Who Is Better World Energy, Inc? Founded in 2010, Better World Energy Inc. is a relatively new company comprised of individuals with decades of experience in the energy business and those that care about the environment. The founders of Better World Energy share a common interest to work and live by the highest ethical standards. Better World Energy was formed behind a simple mission — to make the world a better place through better energy sources. The founders of Better World Energy fully control and support its focus, direction, and standards. Why Purchase From Better World Energy? We at Better World Energy appreciate that you are considering us when there are other choices for purchasing Carbon Offsets. Why us? We provide offsets created through the generation of emission free renewable energy at competitive prices. These carbon offsets are created using renewable energy industry protocol. We document all purchases and provide renewable energy certificates with a unique certificate number to the customer. Better World Energy is a reliable source of carbon offsets dedicated to meeting your purchasing objectives. If for whatever reason you decide not to purchase from Better World Energy, please let us know via E mail so we have the opportunity to improve and be considered for future business. Great question. Let’s start with the example of your home energy use. You’ve done a lot to conserve energy, but it’s not possible to get your consumption down to zero. To become carbon neutral and still use energy, you need to switch from fossil fuels to renewable sources. Often, it is impractical or prohibitively expensive to generate your own renewable energy. The alternative is to purchase grid-based renewable energy. This is accomplished through carbon offsets. Power lines bring electricity to your house from “the grid.” Carbon offsets influence where energy on the grid comes from. You can make your home 100% wind powered by ensuring that wind generated energy is created on your behalf and added to the grid (in an amount that matches your energy use). 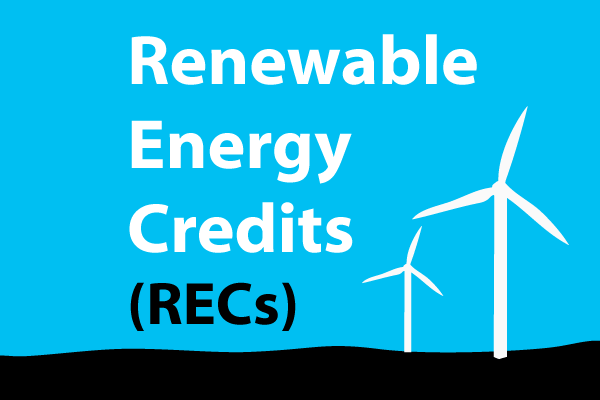 When energy is generated from renewable sources, a renewable energy certificate is created. That certificate provides ownership of all of the environmental attributes of the energy. Adding renewable energy to the grid replaces electricity generated by fossil fuels. Fossil fuels produce greenhouse gas emissions. These harmful emissions are measured primarily using CO2, which is why the term “carbon offset” is used when calculating what it takes to neutralize greenhouse gas emissions associated with your energy use. For your home or business, we provide renewable energy certificates that match your energy usage. To offset something like a vehicle, we add up the emissions your car creates burning gasoline. Just like electricity, we can offset the same amount of CO2 with renewable energy sources. The renewable energy industry have developed protocols for determining the amount of carbon dioxide that is offset when renewable energy is place on the grid in various areas of the county. Presently, Better World Energy is procuring wind energy renewable energy credits in the Northeast. In the Northeast Power Coordinating Council region of the United States, 1,341 lbs. of CO2 are offset by 1,000 kilowatt hours of electricity from a wind generator. This rate is used by Better World Energy to determine the quantity of renewable energy credits corresponding with all CO2 emission offsets. By purchasing renewable energy credits, you support adding clean renewable energy to the electricity pool and reducing global reliance on fossil fuels. How Can I Be Sure That I Am Receiving The Offset That I Purchase? To create the offset, Better World Energy purchases renewable energy certificates from zero emissions generators such as wind farms or low impact hydro facilities. We calculate the carbon offset using renewable energy industry accepted standards and sell the offsets based on the amount created by 1 MW hour (1,000 kilowatt hours) of renewable generation. You will receive a unique certificate number for the MW hour(s) you purchased and a certificate attesting to this. Am I Purchasing Carbon Offsets Or Renewable Energy Certificates? Yes. The same answer we give when asked if we want pie or ice cream for dessert! You are purchasing a Renewable Energy Certificate for zero emission energy that creates a carbon offset when the energy enters the power grid. The certificate conveys to you all the environmental attributes associated with that renewable energy that includes carbon offsets. Why Do You Only Create Offsets Using Emission Free Generation? Can’t You Create More Carbon Offsets With Landfill Gas Generation Or By Planting Trees? Better World Energy believes that a better world will result when the overwhelming majority of the energy consumed in the world is produced from renewable sources such as wind, solar and hydro. While we will occasionally provide biomass for a client upon request, our offset program relies solely on emission free sources that do not include any combustion. Because fossil fuel generators are the primary producers of CO2 emissions in the United States, Better World Energy believes that the best way to reduce CO2 is to replace traditional energy regeneration with electricity from clean renewable energy generators. Others used biomass, often landfill gas based generation, to create offset since they are destroying methane that is 20 times as harmful a green house gas as carbon dioxide. Landfills should not be allowed to emit methane and environmental regulations require that they don’t. By purchasing a renewable energy credit from Better World Energy, you are not simply funding landfill gas sites, as the law probably requires. Rather, you are supporting the growth of the renewable energy industry by purchasing the attributes associated with electricity generated from renewable sources. A new wind farm, for example, is much more likely to be created through the purchase of renewable energy certificates when compared to landfill gas facilities. Some offset providers will plant trees to create offsets. In creating and calculating an offset from tree plantings, care must be taken to verify that the trees have been planted in a manner that is appropriate to the local community and that the plantings perform over time as anticipated. The planting is often done outside the US. Better World Energy does not have the resources to confirm appropriateness of the offsets that have been created as these plantings are often in remote areas. We have been unable to locate a partner that would enable us to minimize air travel and feel comfortable offering these offsets to our customers. Therefore, our focus remains to offsetting CO2 emissions at the source, electricity generation where we can document and calculate the offset using industry agreed upon protocol. Is Better World Energy A Green-E Certified Provider? No. At the current time, we cannot justify the fees associated with joining Green-e. We anticipate becoming one in the near future. To make this transition as smooth as possible, we follow their rules and guidelines. For example, we follow their rules and protocols on new renewable generation facilities, vintage, calculation of the carbon offset, etc. Better World Energy purchases its renewable energy from sources that are associated with excellent tracking systems while we look forward to being a Green-e provider in the future.